John Rutledge was born into a large family in Charleston. His father was Scots-Irish immigrant Dr. John Rutledge (Sr.). His mother, South Carolina-born Sarah Hext Rutledge was of English descent. John’s early education was provided by his father until the latter’s death, then by an Anglican priest. John took an early interest in the law and began studying law under James Parsons. Two years later, he sailed to England to further his studies at London’s Middle Temple. In the course of his studies, he won several cases in English courts. After finishing his studies, Rutledge returned to Charleston to begin his legal career. At the time, many lawyers right out of law school barely had enough business to earn a living. Rutledge, however, emerged almost immediately as one of the most prominent lawyers in Charleston, and his services were in high demand. With this success, he was able to build on his mother’s fortune. Elizabeth Grimke married John Rutledge on May 1, 1763, and he built the John Rutledge House at 116 Broad Street in Charleston in 1763 for his 19-year-old bride. John and Elizabeth had 10 children; Martha Henrietta (1764-1816), Sarah (born and died 1765), John (1766-1819), Edward James (1767-1811), Frederick Wilkes (1769-1821), William Spencer (1771-1821), Charles Wilson (1773-1821), Thomas (born 1774 and died young), Elizabeth (1776-1842), and States Whitcomb (1783-1829). In 1765 Rutledge was appointed a delegate to the Stamp Act Congress. This congress produced a resolution that stated that it was “the undoubted right of Englishmen, that no taxes be imposed on them but with their own consent, given personally, or by their representatives.” Rutledge chaired a committee that drew up a petition to the House of Lords attempting to persuade them to reject the Stamp Act, but they were unsuccessful. After the Stamp Act conflict ended, Rutledge went back to his law practice. 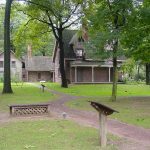 Besides serving in the colonial legislature, he did not involve himself in politics. His law practice continued to expand and he became fairly wealthy as a result. In 1774, Rutledge was selected as a delegate to the First Continental Congress, where he pursued a moderate course. After spending the next year in the Second Continental Congress, he returned to South Carolina and helped reorganize its government. In 1776 he served on the committee of safety and took part in the writing of the state constitution. That year, he was elected President (Governor) of South Carolina, and worked quickly to establish the new government and prepare to defend the colony against a British attack. In June 1776, Rutledge learned that a large British naval force was moving toward Charleston. In response, he ordered the construction of Fort Sullivan (now Fort Moultrie) in Charleston Harbor. By the time the British arrived, the fort was only half completed. General Charles Lee of the Continental Army, who had arrived a few days earlier with reinforcements from North Carolina, told Rutledge the fort should be evacuated, as Lee considered it indefensible. On June 28, 1776, the British attacked the fort, expecting it to fall quickly. However, the fort’s walls were made of soft palmetto palm trees, and the British cannonballs simply sank into the logs without doing any damage. The British attack failed. South Carolina later became known as the Palmetto State as a result of this battle. In 1779, Rutledge was again elected governor of South Carolina, and sent a detachment of troops under General Benjamin Lincoln into Georgia to harass the British there. The new British commander, General Jacques Prevost, headed for Charleston with 2500 troops. Rutledge worked furiously to build up Charleston’s defenses, but the Americans were vastly outnumbered. The city braced itself for an attack, but the next morning, the British had disappeared. Prevost had intercepted a letter from General Lincoln to Moultrie saying that he was marching to the aid of Charleston, and Prevost decided that he could not win if the Americans received reinforcements. In early 1780, Sir Henry Clinton attacked South Carolina, and Charleston was thrown into a panic. The legislature adjourned upon learning of the British threat. Their last action was to give John Rutledge power to do whatever he deemed necessary to defend the city. Rutledge did his best to raise the militia, but Charleston was in the midst of a smallpox epidemic, and few dared to enter the city. In February, Clinton landed less than 30 miles from Charleston with 5000 troops and was quickly joined by 1400 more from Savannah. Clinton waited for more reinforcemetns, and in May 1780, he attacked Charleston with an army 9000 men. The Americans under General Lincoln numbered less than 2500, and on May 10, Charleston surrendered. Rutledge had been urged to leave the city and was not captured. On January 17, 1781, the Americans defeated the British at Cowpens, South Carolina. This victory greatly raised the spirits of those in Charleston, but the Americans were soon outmaneuvered and were forced to retreat. In December 1781, General Nathanael Greene retook Charleston and drove the British from the state. In January 1782, John Rutledge’s term of office came to an end, and he was not able to run again, because of term limits. A few weeks later, he was again elected to the Continental Congress, where he served until 1783. In 1784, he was appointed to the South Carolina Court of Chancery. He never recouped the financial losses suffered during the war. In 1787 Rutledge was selected to represent South Carolina at the Constitutional Convention. Rutledge attended all sessions and served on five committees. Rutledge recommended that the executive power consist of a single person, because one person would feel the responsibility of the office more acutely. When the proposal was made that only landowners should have the right to vote, Rutledge opposed it perhaps more strongly than any other motion in the entire convention. He stated that making a rule like this would divide the people into “haves” and “have nots,” and would create an undying resentment against the landowners and could do nothing but cause discord. Benjamin Franklin agreed, saying that such a law would suppress the ambitions of the common people. In the debate of whether or not to allow slavery in the new country, Rutledge took the side of the slave-owners; he was a Southerner and owned several slaves. Rutledge stated that if the Constitution forbade slavery, the Southern states would never ratify it. In the summer of 1789, Rutledge was nominated by President George Washington to be an associate justice on the newly established United States Supreme Court. He was confirmed by the U.S. Senate on September 25, 1789. 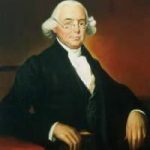 On March 4, 1791, without ever having had the opportunity to decide a case, Rutledge resigned from the U.S. Supreme Court in order to become Chief Justice of the South Carolina Court of Common Pleas and Sessions. Elizabeth Grimke Rutledge died April 22, 1792, at Charleston, South Carolina, at the age of fifty. Rutledge was very devoted to his wife, and her death was a major cause of the illness that affected Rutledge in his later years. Rutledge’s outspoken opposition to the Jay Treaty, rumors that he had suffered from severe depression since his wife’s death 1792 and that he resorted to alcohol – all this caused the Senate to reject his appointment by a vote of 14 to 10. Rutledge thus became the only U.S. Supreme Court Justice in history to be forced out of office, ending his public career. The Senate’s rejection completely destroyed Rutledge mentally. Shortly after, he attempted suicide by jumping off a wharf into Charleston Bay, but two passing men saved him. He spent the remainder of his life as a recluse. 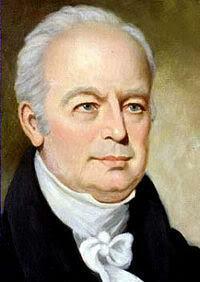 John Rutledge died on July 18, 1800, at the age of 60. He was interred at St. Michael’s Episcopal Church in Charleston.